A champion of quality and the Olympic tradition, Helen McAlpin believed that being able to compete was more than enough and winning was just something extra. She was the main ingredient that made the early women’s ski teams gel. Helen Bendelari Boughton-Leigh McAlpin was born in Cleveland, Ohio. She began her career as a British Subject (by marriage) as a member of the British F.I.S. Teams of 1932, 1933 and 1934. Her racing potential became apparent soon after she joined the Kandahar Ski Club in 1928 and she passed the Ski Club of Great Britain’s first class test in 1929. She won many Kandahar races, ultimately achieving the coveted Kandahar Diamond K Pin. Helen was the first American woman to race on the European continent in international competition, skiing for the Ski Club of Great Britain because U.S. women’s skiing did not reach international status until 1936. As interest in women’s competition began to develop in the United States, it was decided to enter an American women’s team in international competitions. Roland Palmedo, then chairman of the National Ski Association International Competitions Committee, contacted Arnold Lunn of the Ski Club of Great Britain asking that Helen be released from the British team so she could return to the United States to captain the United States Women’s Ski Team at the 1935 F.I.S. World Championships. Returning to her native land, Boughton-Leigh assisted Alice Damrosch Wolfe Kiaer with the details of organizing a team as well as serving as captain and a competitor on the 1935 F.I.S. Team in which she placed seventh in the combined. Helen continued to assist with the early period of development of the American women skiers and captained and competed for the United States on the Women’s Ski Team at the IV Winter Olympic Games at Garmisch-Partenkirchen, Germany – competing on the 1936 F.I.S. Team as well. A quote from Helen on skiing in this era stated “Perhaps the results would not be considered glorious, but it was a solid beginning of a women’s ski team in America”. Helen McAlpin was an important ingredient in that beginning. Helen retired from racing in 1937, the year she married Malcolm McAlpin. They had met the year before at the Olympic Games in Garmisch-Partenkirchen – Malcolm was a member of the United States Hockey Team. Eloping by dog team from Sun Valley, they were married in Ketchum, Idaho. 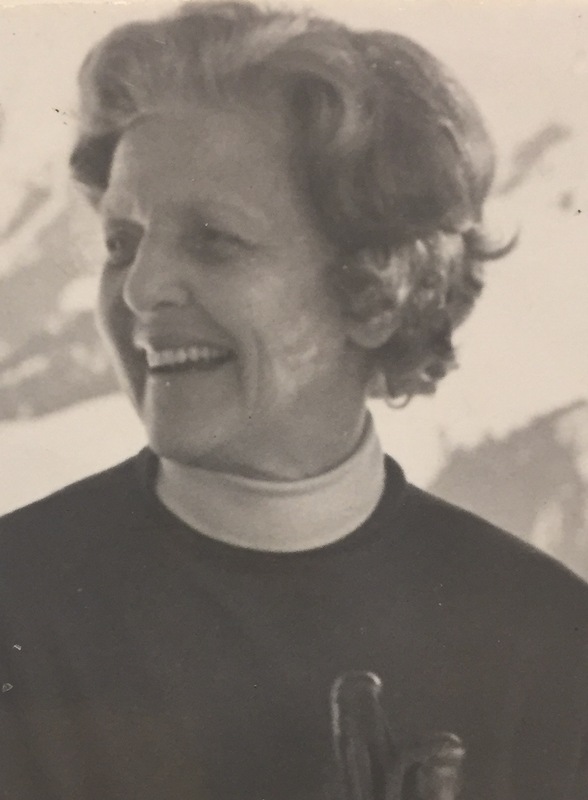 Eager to promote skiing and racing at the club level, Helen was a co-founder of the Snow Chaser’s Ski Club of Morristown, New Jersey. Always considering skiing a family sport, her husband, son, daughter and grandchildren became enthusiastic skiers. Helen McAlpin was a pioneer international competitor for the United States. She was elected to the U.S. National Ski Hall of Fame in 1968. If you notice any errors or inconsistencies in Helen McAlpin's bio, click here to let us know.